A picture can be worth a heck of a lot more than just a thousand words. 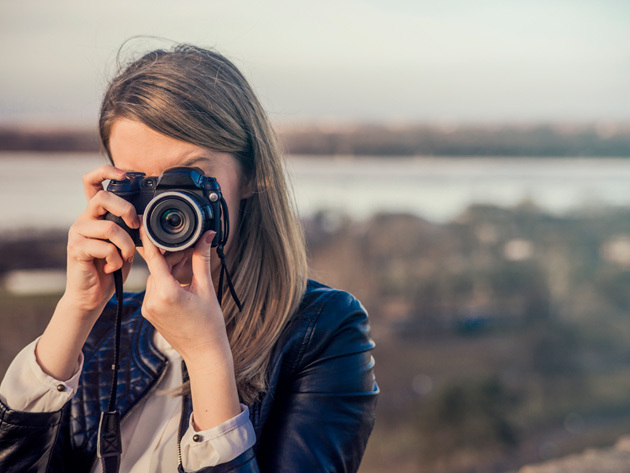 If you've squinted for ages trying to get just the right photo, you might have the right passion for a career behind the camera. You might even have the right equipment, but do you have the know-how? The Beginner-To-Expert Photography & Videography Bundle is a great start for amateur shutterbugs looking to turn pro. This inclusive series of courses has something for every niche. Starting you off with basics in photography that apply to any great image, moving or still, you'll drill down into a focus on DSLR photo and video production. At your own pace, you can move on to the master class courses in video or photography, and even explore the fundamentals in the tricky art of drone videography. The seven-course bundle has more than 34 hours of instruction, and it's up for grabs at $35 - a substantial discount off the price of the individual courses. Pick up the Beginner-To-Expert Photography & Videography Bundle today.